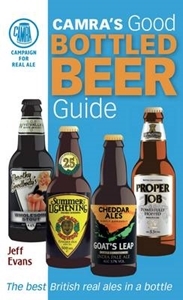 The brand-new edition of the Good Bottled Beer Guide is completely updated to comprehensively cover the growth of British brewing. The British brewing industry has seen unprecedented growth in the last decade with over 1000 breweries in operation in the UK. Inside this new edition, bottled beer expert Jeff Evans showcases 500 of the very best real ales available in a bottle and where to get them around the country. Plus, a comprehensive listing of ever bottle-conditioned beer on sale in the UK today. The book is also packed with tasting notes, ingredients, brewery details and a glossary to help the reader understand more about the beers as they enjoy them.